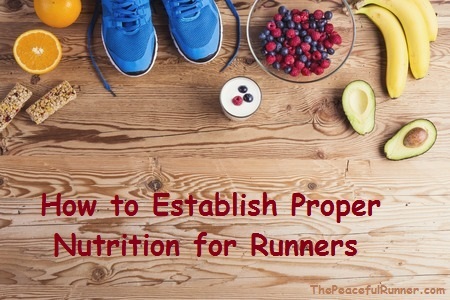 Establishing proper nutrition for runners requires some nutritional knowledge. The technical definition for nutrition focuses on providing the body with necessary foods for growth as well as health. When you are physically active in different ways you may have different goals for growth and thus different nutritional requirements. For example, the right nutrition for weightlifters is going to be a bit different than the right nutrition for runners. Unlike weightlifters, runners are not focused on stacking huge sources of calories for big gains. The body will still need healthy foods that are high in calories to fuel the muscles and high in protein to keep those muscles working as they should. Building a diet that adheres to the nutritional needs of running is pretty straightforward. It does not require some amazing fad diet. If you are running daily, then you probably already make some effort to eat healthy. Now, it is just a matter of making sure you are getting enough of the right nutrients each day to continually improve your stamina and your speed. You often hear of bodybuilders piling up the protein sources so that they can build muscle. This is because protein is an essential tool for repairing muscles. When muscles are repaired, they may grow larger depending on how they are damaged. However, even if you are not trying to bulk up, you still need to consume healthy amounts of protein. 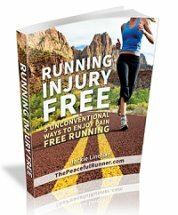 Running consistently is going to damage your muscles in small amounts. 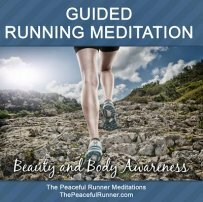 The extent of the damage is determined by how often, how far and how fast you run, in addition to personal factors, such as, weight and gender. A safety rule of thumb for runners is that you should consume roughly 0.75 grams of protein per pound of body weight. That comes out to 1.5 grams for every two pounds. If you weigh 150 pounds, then you want to consume about 112 grams of protein each day. This is only if you are running for long distances. Carbohydrates are torn down the middle with simple carbs considered bad carbs and complex carbs labeled as good carbs. Ideally, you want to find healthy sources of complex carbohydrates to act as your fuel source while you run. 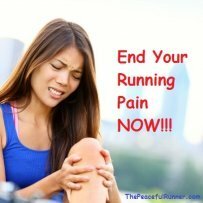 Not only are complex carbohydrates all around healthier for you, they do not result in the sharp rise and fall of blood sugar that leaves you feeling exhausted before you have finished your run. Healthy carb sources include potatoes, most vegetables and whole grains. Consuming these before you run is a good idea. Your calorie sources can be broken down into complex carbs, monosaturated fats and proteins. A balanced diet for a runner should consist of 20 percent protein, 20 percent monosaturated fats and 60 percent complex carbohydrates. By designing your meals, snacks and drinks around this formula, you know you are eating a healthy diet designed for a runner. Be sure your diet contains foods that have the vitamins and nutrients you need, as well as drinking an ample supply of water to provide the required proper nutrition for runners. Jan Jattne is a weight loss and health professional and the CEO of fit80. Check out Your3WeekDietSystem.com to learn more about his fast and effective weight loss plan.